Olivier Award-winning producer, actor and director Guy Masterson is back in Adelaide for this year’s Fringe Festival, where he is presenting a series of four plays that address themes emerging out of the topic of warfare. We catch up with Guy upon his arrival in Adelaide and ask him how the Lest We Forget series came into being. And how did the three other plays in the series get your attention? “It just so happened that I came across another piece, Between the Crosses by Will Huggins, which is an extraordinary story. It’s a true story of Will’s great uncle, Edgar Huggins. He joined the war effort in 1914, ostensibly to look after the horses on the front, but he ended up seeing action at the Somme and Ypres. And he survived. As a survivor of the First World War you were dubbed a hero, which he could never understand. He never spoke about his experiences until very close to the end. Will interviewed and recorded him, and then finally put together this show. It is effectively a conversation with his forebear that leads us into the conscience of a soldier. It’s very cleverly put together; an extraordinary theatrical experience. I thought this would be a perfect partner for Anthem For A Doomed Youth. In recent years we have seen the Great War used as the setting for many productions. Do you think there is something about WWI that makes it, perhaps, the most awful of wars? It certainly appears to be a conflict that resonates very deeply with people, even today. “I think it does,” Guy says. “It was still a romantic time. People didn’t know how to express their feelings; they didn’t have Facebook or 24-hour rolling news. The information that the public were receiving was controlled. They (the government) did not want the people to rise up against the war effort. They also wanted to keep the stream of recruits coming, to fight on their behalf. Against the backdrop of this naïveté, and this imperialistic drive towards maintenance of the empire, a lot of lies were told. “We were literally, as Wilfred Owen put it, sending these cattle out to be slaughtered. There was no real hand-to-hand combat; most people were killed by an unseen bullet or by trench mortars. It wasn’t war in the traditional sense. It wasn’t really fighting in the traditional sense. So there was no real heroism, in the traditional sense. It took away all romantic notions of fighting for your country. “When we look back at the poetry that was written at the time, particularly by Siegfried Sassoon and Wilfred Owen, and the graphic quality of their poems, against the romantic backdrop, all the romanticism of war evaporates. “No-one really knew what the First World War it was about,” he explains. “Not the people that were fighting. It was so horrific; so many people died, millions and millions. All for the protection of a fading empire and a bunch of family members who were angry at each other. It is certainly hard to imagine, these days, whole villages and towns sending off all of their youth to fight a war where the reasons for fighting were so obscure. You’ve performed at quite a few Fringe venues over the years. Higher Ground was home for a while, before that the original (very hot) Bakehouse. What do you like about this venue? “Well, firstly it’s air-conditioned,” he laughs. “And it’s a year-round venue. The majority of theatre audiences in Adelaide are, with the greatest of respect because there are plenty of young people going to the theatre, middle-class, older Adelaidians – they love their theatre but there’s not enough of them. They don’t like to go to ‘Fringey’ tent venues, they don’t want to stay in town, they don’t want to party at The Fringe. They want to go to the theatre and go home. You have been coming to Adelaide for many years now. CIT shows featured relatively small casts and minimalist sets, relying on the strength of the writing and delivery. This is consistent with your seeming preference for solo shows generally. Is this simply a matter of economics and ease of production, or is it your preferred style? “That’s a good question. When I started I was very conscious of needing to make an impact with a minimal amount of output. So I ventured into the solo show world. As soon as I did so it changed my life. My first solo show was a piece called The Boy’s Own Story by Peter Flannery. Prior to this I had been doing TV, film, that sort of thing… I’d never really faced an audience down and talked to them directly until I did the solo performance genre. It gave me a reason to perform which wasn’t about me anymore; it was about the communication. This was such an intoxicating idea for me. Suddenly I could work on the stories I wanted to tell, and I was able to tell them with such conviction that it created an atmosphere in the theatre which became unstoppable. To look an audience in the eye and hold them, get them to listen to the very essence of what those pieces are about, this was intoxicating for me. I fell in love with the genre. Is there anything else you’d like to pass on to Adelaide Fringe-goers? 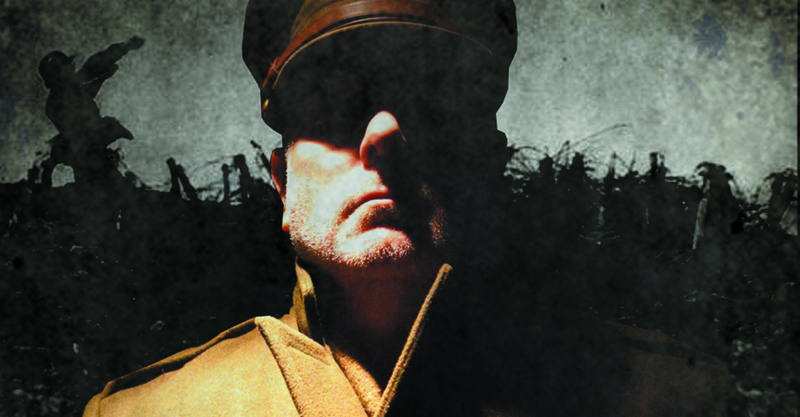 Guy Masterson presents the four-part production series Lest We Forget at various times at Bakehouse Theatre from Mon 19 Feb until Sat 17 Mar. Book at FringeTIX on 1300 621 255 or adelaidefringe.com.au.